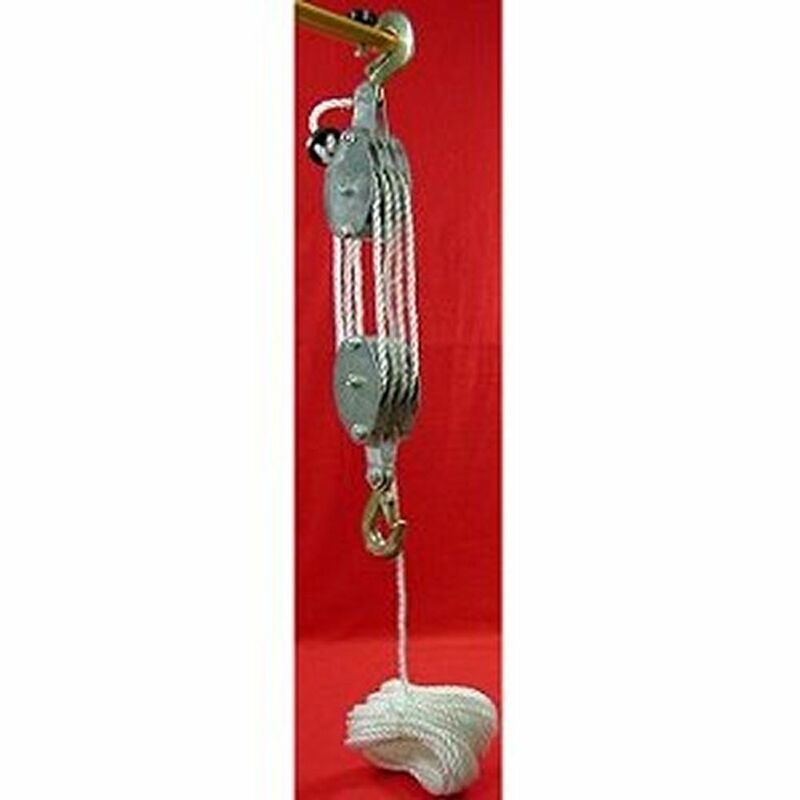 Strong, long lasting polypropylene rope and rust proof zinc-plated housing can take up to 2 Ton weight. 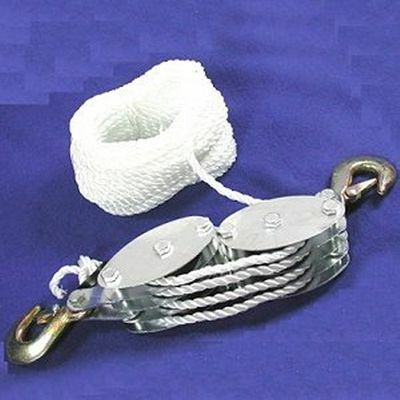 Double grip safety hooks hold hoist firmly in place. Set also includes nylon rollers and welded rings.